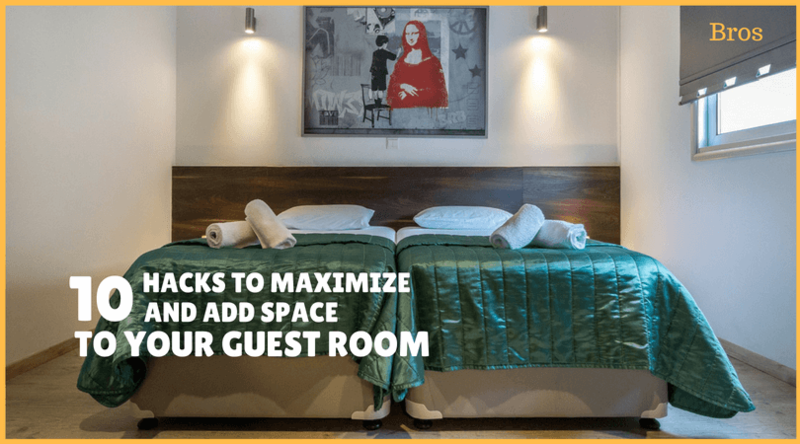 Sometimes it happens that a good number of guests arrive at the house and the space in your guest room cannot accommodate everyone or you have a small guest room. At that time, we temporarily solve that problem either by compromising with space in our bedroom or any other solution that pops up in our mind at that instant. But what if guests arrive frequently at your house to stay. There can be any possibility as you never know when guests can visit. In this case, won’t you think having a permanent solution which maximizes the space for your guest room will be a good thing? 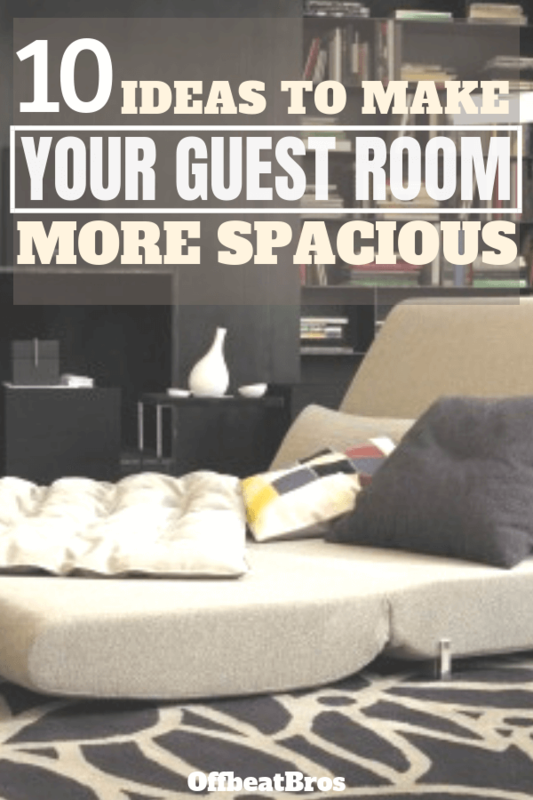 So that you don’t have to compromise and even guests stay comfortably and return happily? There are many things and ideas which you can apply to maximize the space in your small guest room. So, below I have formed a list of some small guest room ideas which you can apply to increase space available in your guest room. You can even apply these ideas to your other rooms if it convinces you. So have a look at them and let me know what do you think. Bunk beds are a great way to increase the present space vertically. It actually doesn’t increase the space in the room, it just utilizes the vertical space very effectively. 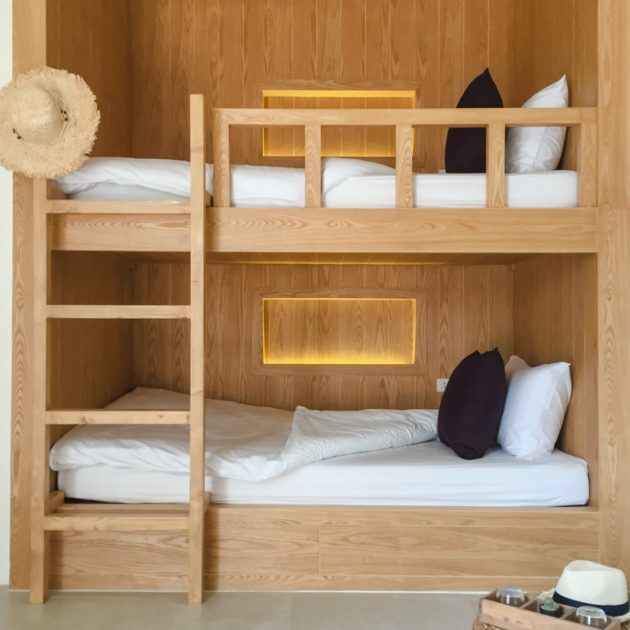 With bunk beds, you can easily make sleeping space for 2 people in the area which previously was just able to accommodate one person. You can be a more efficient space saver by adding built-in drawers in bunk beds for storage needs. A futon is a piece of furniture that provides a bed and sofa in one. So in short, it is multifunctional furniture. Your guests get the space to sit and read the newspaper on the sofa in the morning. Then it be can be converted to a bed and used for sleeping in the night. So instead of having different sitting space and a different bed in the guest room, use futon which will save so much space. This is an alternative to a futon. A sofa bed works well in managing the space in a small room. If you have single beds for your guests, shift them close to each other for making space for an extra bed be it a tiny one. Choose light colored linens for the bed and soft colors for the wall, if you think that the space in the room will get cramped. Instead of installing shelves and cabinets close to the floor for storing purpose, consider installing shelves high on the wall. Doing this, you don’t need to allocate the ground area for storing things and it can be used for better purpose i.e. sitting and relaxing. Deep and high shelves are great for storing stuff which you don’t need regularly. You can even store some belongings of your guests. If possible, try for in-wall installation of storage space, so that you don’t see the cabinets hanging out of the wall on your head. If the room has less ceiling height, then a modern floor bed would be a good choice. Even a bed of very low height works. The room will feel bigger and better. 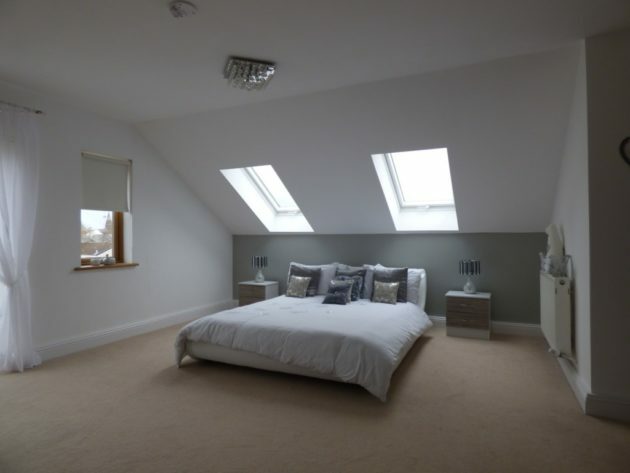 A floor bed also works better for low height windows as compared to regular beds which block the ventilation due to its own height and the additional height of the headboard. Don’t let the headboard space and the space under the bed go waste. You can use these for keeping the belongings of your guests or some other stuff by installing drawers and shelves. Under bed storage furnishings also eliminate the need for separate additional furniture for storage. Even the guests will not litter the entire room and will keep things organized in these drawers. Use the headboard space by making compartments for keeping some books and other general stuff which is needed frequently. Doing this, you will save the space which you would otherwise have devoted for the bookshelf and keeping some other stuff. Isn’t this cool? You get three pieces of furniture in one. According to me, this is the last option that you should think of considering. There are many other options listed above that you can consider to increase the space instead of going with structural change. It is much costlier compared to other ideas. even after using the other methods, if you don’t get the desired space, then you can go with this last method of structural change such as altering the walls, windows, door, etc. You should always seek advice from professionals before making any structural changes like altering the window space, subtracting a wall, etc. If you found these hacks useful, please share the post! Now, we hope this post was helpful, but if you have any other small guest room ideas which can make it look big, comment below. We would be happy to hear from you! Help us improve!